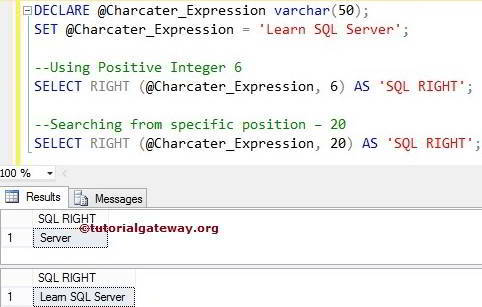 The SQL RIGHT function is one of the String Function, which is used to return right most characters from the specified expression. RIGHT function uses its second argument to decide, How many characters it should return. TIP: The index position in RIGHT Function will start from 1, Not 0. Character_Expression: Please specify the valid Expression on which to want to perform search operation. RIGHT Function will write the right most characters from this expression. Value: Please specify, how many characters you want to extract from the Character_Expression. The RIGHT Function is used to return the specified number of rightmost characters from the given string. 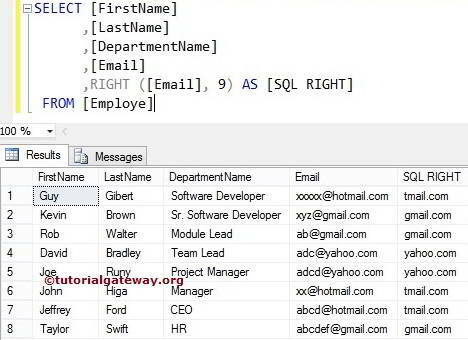 The following query will show multiple ways to use SQL server RIGHT function. 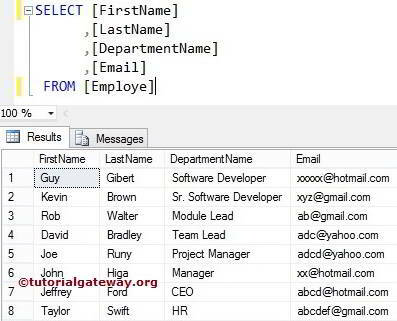 Below lines of code is used to declare string variable and assigning the string data. In below statement, We used RIGHT function to return six rightmost characters from the @Character_Expression variable. We also assigned new name to that result as ‘SQL RIGHT using ALIAS Column. If you observe the above result, SQL Right Function is not getting the domain names perfectly because we are using fixed value. In the next example we will show you, How to use dynamic value as a second argument to return the domain names accurately. 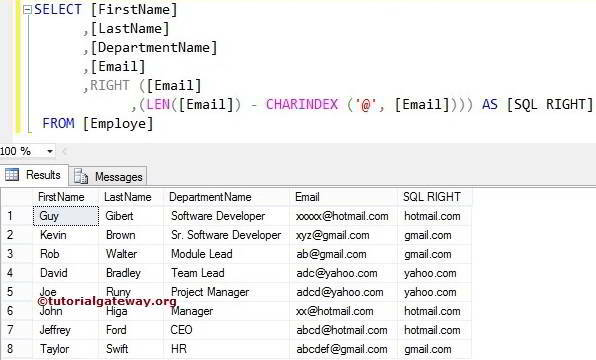 In this example, We are going to find the domain names present in Email column using SQL RIGHT Function. Below statement will return the index position of the @ symbol. It means, CHARINDEX function will check for the index position of @ symbol in each and every record. We subtracted the index position from the Length of a string using the below statement.